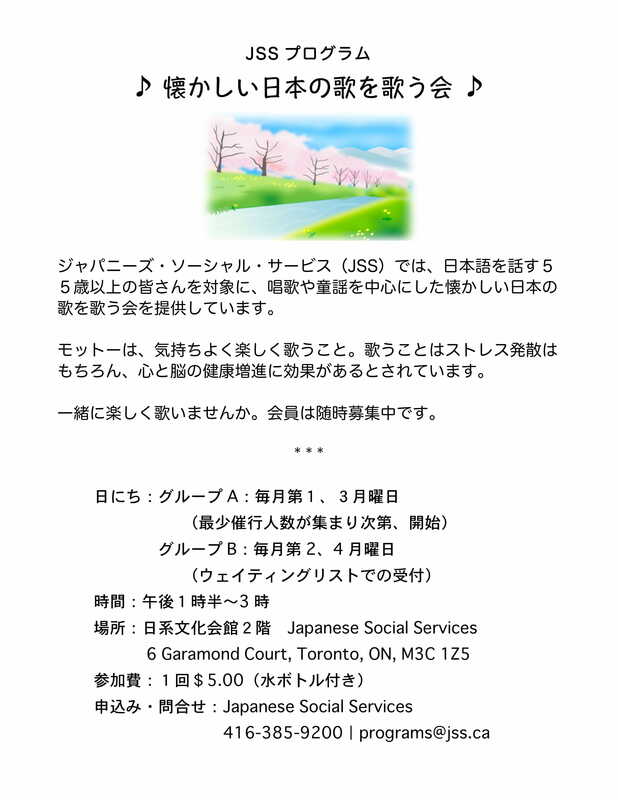 Japanese Social Services provides the Seniors Singing Club for Japanese-speaking seniors and pre-seniors (age 55+). Each group has the afternoon sessions twice a month. Please contact JSS (416-385-9200 | programs@jss.ca) for mode details and registration. *This is not a karaoke club. Everyone sings together.